The world has a problem with obesity. In fact, the World Health Organisation has found that at least 2.8 million people die every year as a result of being overweight or obese. Furthermore, it’s easy to conclude that obesity is the result of an unhealthy diet. Needless to say, unwise food choices may cause, or contribute to physical illnesses. It’s obvious isn’t it? But have you ever thought about the impact your diet can have on your mental health? Week Four of the Light Hearts UK Mental Wellbeing Course deals with cutting out toxins such as sugar, alcohol and caffeine. Read on to find out more about how a holistic approach, and a few healthy additions to your diet can improve your mental health. Upping your intake of omega 3 fatty acids may increase levels of serotonin and serotonin receptors in your brain. These have an effect on mood and behaviour. The effect of omega 3 on serotonin levels may reduce symptoms of depression and other mental illnesses such as schizophrenia. If you do have a mental condition, a healthy diet, including increasing omega 3 rich foods such as salmon and mackerel, may even form a part of the plan for your mental treatment. There’s no getting away from the fact that refined carbohydrates such as sugar are bad. In 2017, researchers at University College London found that men with high amounts of sugar in their diets have an increased likelihood of mental disorders such as anxiety and depression. Given that the main source of energy for the brain is glucose, how can you “feed” your brain, without suffering from the irritability and anxiety that too much sugar can cause? The answer is to choose carbohydrates that release glucose slowly and keep insulin levels stable. Things to include in your diet include whole wheat, oats, barley, beans and soy. It’s complicated, but serotonin is converted in our bodies from the amino acid, tryptophan. Amino acids are protein fragments, so you need to include protein-rich foods such as fish, turkey, chicken eggs and beans, in your diet. These should be eaten with complex carbs which help the body absorb tryptophan and create serotonin. Dark leafy greens such as spinach, and broccoli are high in folic acid. It’s been found that deficiencies in folate and other B vitamins may be linked to depression. These dark green vegetables also contain other vitamins and minerals which are important for a healthy diet. Research into links between diet and mental health is continuing, with links being made, not only into how food directly affects our brains, but also how our digestive health may be linked with our mental wellbeing. It’s becoming obvious that diet plays an important part in mental health, and making healthy choices may not only decrease your risk of physical illness, but could also help you avoid common mental health problems such as anxiety and depression. 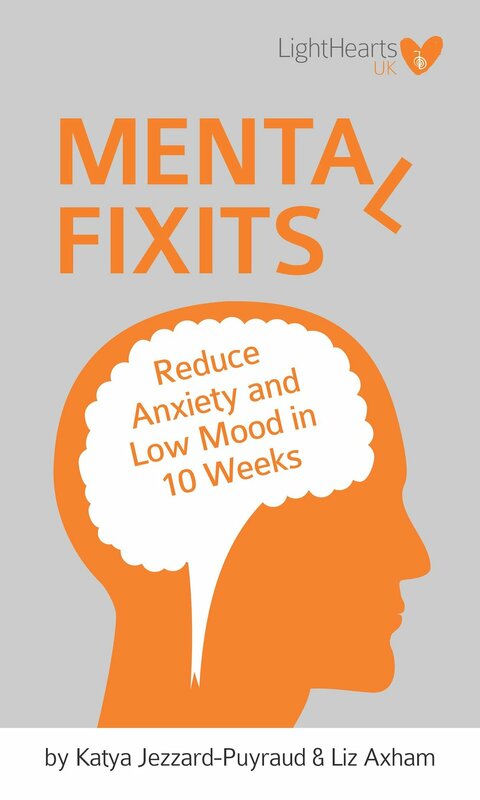 For more tips, information and advice on how to help your mental health, including free audios and sourced videos, go to the LightHearts UK free online mental wellbeing course. Below is an audio with the LightHearts UK team about how cutting out sugar really helped them to take control of their mood swings.